You can find a Lakers cap from one of the top manufacturers of licensed LA Lakers caps here at Hatstore. We have various different models available for those looking for an LA Lakers cap. Choose from flexfit, snapback and 59Fifty to find the model that suits you best. Lakers caps are ideal for summer with their cool colors. Choose below to find your favourite in our selection today. 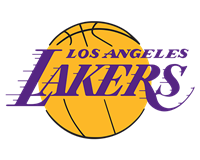 The Los Angeles Lakers have a long tradition in the NBA, and they have a strong team every year. Over the years they have developed various stylish merchandise products. Their SnapBacks and caps are two of the most popular products. Here at Hatstore, we have a wide selection so you can easily find your new LA Lakers cap.